I enjoy reading about history, and was excited to get this from the library on loan. Sadly, I was disappointed to discover a fairly significant error on pg 189. The author states that "By 1848, war and treaties forced Mexico to hand over Texas, California, and New Mexico Territory to the United States." Mexico never handed Texas over to anyone. Texas won its independence from Mexico in 1836 and was a republic for 9 years before being annexed by the United States in 1845. Regarding Texas, the 1848 treaty referred to in the book (called by name the Treaty of Guadalupe Hidalgo) merely settled that the border between Mexico and Texas was the Rio Grande River but transferred no land.I appreciated reading this book, but I have to say that finding this fairly obvious historical error (which in studying Texas history or the history of Mexico would be a major error) made me wonder what other historical errors were in the book. Because of this, I would not recommend this book at all. 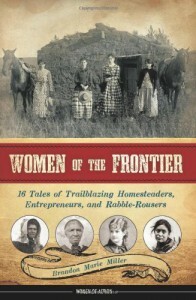 I would recommend instead "Pioneer Women: The Lives of Women on the Frontier" by Linda Peavy and Ursula Smith. 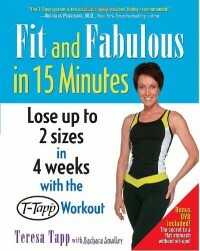 I like the emphasis on rehabilitative exercise in this book. Understanding that as you age you cannot keep up the exercise stress that you did when you were 18 or 25, this book outlines a healthy exercise program that sets out at the beginning to help you NOT hurt yourself. While I probably will not be running marathons when I'm in my 80's (yes I know that some people do), it is much more likely that I'll still be doing these exercises when I am that age.Recommended. Read this over the 40 days of Lent and found it very worthwhile. 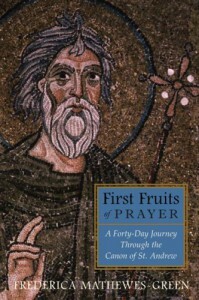 Many things to think about from a different Orthodox Christian perspective, and the author provides explanations and scripture proofs for the various elements of the Prayer of St. Andrew. Recommended. 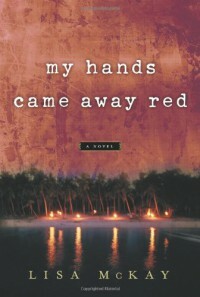 I read a book of fiction, "My Hands Came Away Red" about a group of high school students on a missions trip who are involved in an attack on church they have helped to build and are thus thrown into turmoil as they rush to escape being attacked and killed themselves. That book I found to be lacking and rather shallow. 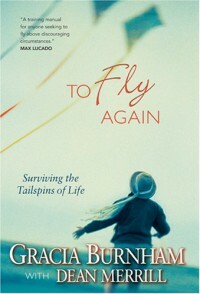 As an antidote to that, I recommend reading Gracia's book. It is not fiction, it is the real life experience of the Burnham's as they are kidnapped and then kept for a year by Islamic terrorists. How they lived, how they reacted to this situation they had no control over, how they treated their kidnappers, their "enemies", is worth reading about.A line from the back of the book states, "The issue is not why an all-powerful God might choose to subject a man to evil, but how a man, with God's help, responds to evil. "This is a very worthwhile book to read. I recommend it highly. 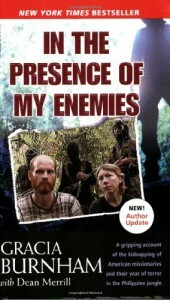 Worth reading, especially after reading Gracia's book "In the Presence of My Enemies". 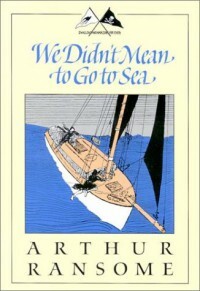 Probably the best of the Arthur Ransome "Swallows and Amazons" books, this book is the most realistic and the least whimsical. Forced to cross the open sea when they are accidentally swept out to sea on a friends boat, the "Goblin", they must rely on each other and what they have been taught to safely get to a destination.... any destination! John, the oldest brother, grows up in this book and becomes the strong leader that you have known he might develop into in past books. The story resolution is just wonderful, and I enjoy it more every time I read it! I really like Ralph Wood's writings. I have read another book he has written on Flannery O'Connor, and found his insights valuable. This book is no different. I recommend it highly. 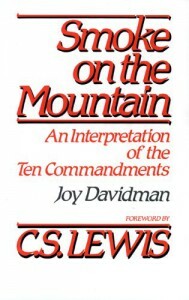 A sweet friend at church loaned me this book, written by Joy Davidman who was to become Joy Lewis, wife of C.S. Lewis. *********************An interesting book to read, knowing who Joy would become (Mrs. Lewis). The book is dedicated to C.S. Lewis and she discussed some of the sections she was writing with him via letters. Since her background was as a strident atheist Jew who became a strident atheist Communist, it is no wonder that Joy's writing is very acerbic and sometimes smacks you up the side of the head. I found it hard to pay attention sometimes to her point because I was reeling from the "point" she had just made with some significant force. Her mind is quick and her discussions are well crafted, but it just not the gentlest book that I've ever read. I am on her side of the argument, but I'm not sure that if I weren't already there that she would convince me of changing. In the "speaking the truth in love", she's got the "speaking the truth" down well, but the "in love" portion is lacking. Have read this book probably a dozen times, but not in the past decade. Time to revisit this classic! *************I think C.S. 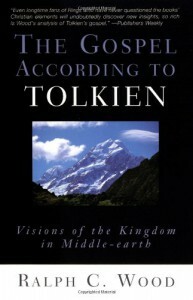 Lewis said that all good stories are really re-told from good stories that have been written about in the past, and that was one reason why it is important to read the classics of old. I have discovered that for "Dune", this is true. I read it for the first time when I was a teenager and was blown away by the sheer scope of the book. Galactic politics, galactic religion, galactic plots and uprisings and wars. The most fascinating thing to me was the science of the book -- the explanations of the worms and their role in the existence of Arakkis. In re-reading it I have discovered that I am better read now and can recognize some of the elements in the book from classics of the past.Coming back to the book after many years, I am surprised at the Islamic influence in the book and the changing role for the novel's hero, Paul. He seems to the Fremen much like T.E. Lawrence was to the Arabs. 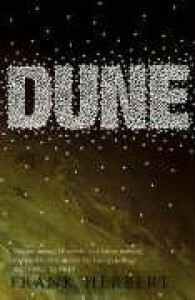 This struck me anew as I have been reading up on Lawrence recently and was fascinated that his style of fighting that he adapted from the Arabs is mirrored in Paul's guerilla warfare with the Fremen.So coming back to it was worthwhile and interesting, but the "WOW" factor of the book has not remained. While understanding that it is one of THE classics in science fiction literature, I have to say now that I've read a bit more and perhaps studied a bit more history, I am less enchanted by the book and the hero. Just finished up as our evening read-aloud. EXCELLENT! At the end of the chapter "The Knitting Done" we all rose up and said "Way to go Miss Pross!". Wow, what a fantastic fight and what a glorious vindication!This book never fails to bring me to tears for the sorrow of sacrifice, and then tears for the joy of redemption! Re-reading and pre-reading before we use this at school this year. **********************************Excellent book. 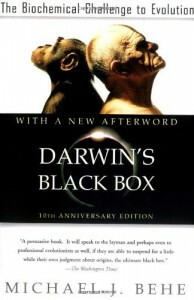 Resulted in some fantastic discussions in relationship to the biology text that we read alongside of it. 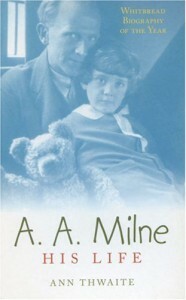 An interesting biography of Alan Milne, creator and author of the children's classics "Winnie the Pooh". Alan's childhood was idyllic. His father ran a boys school and treated the boys (his own children as well as the students) with love and affection. Alan's older brother Ken was his best friend and close companion growing up, and because Ken was always loving and kind to Alan even when his own abilities were overshadowed, they remained very close until Ken's untimely death from TB at the age of 47. Alan Milne came to hate Winnie the Pooh, even while the children's books made his fortune. His son, Christopher Robin, known to the family as Billy Moon (Moon was his baby attempt to pronounce "Milne"), also came to hate the series and hate his part in the poems and stories. (imagine going to boarding school and hearing the taunts of the other boys as they recited "Christopher Robin goes hoppity-hoppity-hop" to him.) Alan Milne was never taken seriously as a playwright or author after he wrote the Pooh books. Forever would he be seen only as a children's author and writer of light verse. Billy Moon, Alan's son, became estranged from his father and after his father's death did not see his mother for the remaining 15 years of her life.I remember reading about many child actors who ended up badly when they became adults, or ended up in court against their parents struggling to escape from their management. It seems that Billy Moon fits into that category also, sadly. 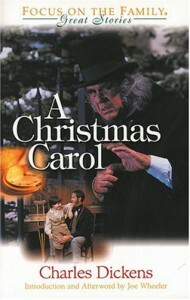 We read this aloud every year at Christmas, and we continue to enjoy and delight in the transformation of Scrooge! 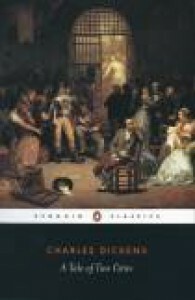 Highly recommended!Dicken's writing is so wonderful. It makes me happy to read his words aloud, he has such an amazing way with words. It is hard for me to read alot of current fiction (I'm thinking here about my slog through "The Hunger Games") and then read something classic like this from DIckens. In the stark side-by-side comparison, you realize how poorly written some books today really are. Read a description of Scrooge's house and then marvel at what a master Dickens is at crafting just the right words! "They were a gloomy suite of rooms, in a lowering pile of building up a yard, where it had so little business to be, that one could scarcely help fancying it must have run there when it was a young house, playing at hide-and-seek with other houses, and have forgotten the way out again. "And later on, these descriptions of the cornucopia of food at the local grocer's just before Christmas..."There were great, round, pot-bellied baskets of chestnuts, shaped like the waistcoats of jolly old gentlemen, lolling at the doors, and tumbling out into the street in their apoplectic opulence. There were ruddy, brown-faced, broad-girthed Spanish onions, shining in the fatness of their growth like Spanish friars, and winking from their shelves in wanton slyness at the girls as they went by, and glanced demurely at the hung-up mistletoe." A very worthwhile read. 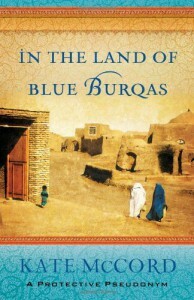 The author writes from her years living among the Afghani people and learning their culture as well as their struggles and sorrows. Living as a single middle-aged Christian women in a Muslim culture, she had a fascinating opportunity to talk with and live among Afthani women and hear their stories. She writes very simply but with great respect for the crushing hardship these people live under while speaking to them about the Honorable Jesus Messiah, whom she follows. A very worthwhile book to read. Having been part of the world of artificial intelligence and robotics in years past, this book is a fine overview of the development of the first "thinking" machines (like ELIZA) to the current trend of robots that "feel" or relate. Or at least we have programmed them to simulate responses that to us indicate "feeling". 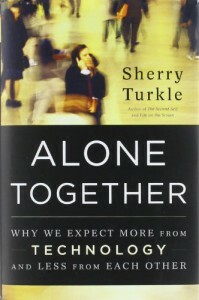 In the first half of the book, the author raises the dilemma -- we are beginning to rely on relational robots or care-taker robots more than humans. In Japan with the younger population significantly fewer in numbers than the elderly, certain therapeutic robots were developed to purposely give the elderly someone (or some thing) to relate to. Look up AIBO, Cog and Kismet, My Real Babies, Furbies, Milo (virtual human), Nursebots, Paro, Tamagotchis and you will find a mixture of toys and relational robots.So what does it mean for us to relate and rely on programmed machines? It seems simple enough, but in creating relational robots we now have given them programmed behaviors that imitate human emotions. The emotions are not real however, they are programmed. Paro, the therapeutic robot that is in the form of a baby harp seal, is programmed to emit soothing noises when the person holding Paro pets it softly and gently. Many elderly patients project onto Paro emotions that the robot really does not have. The author raises this issue and asks, "is this dangerous? 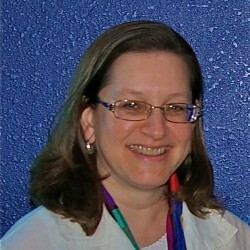 ", and then shows us why it is.The second half of her book deals more with the interconnected world of Facebook, Twitter, the internet, and virtual lives lived online. So what does it mean when real humans who have real human relationships in a real world prefer to spend their time (dare we call it "living"?) in an online simulated world? In that online simulated world you can relate to various other people, all with their own avatars and hiding who they really are. So what becomes real? The author here raises this issue and asks "is this how we want to grow and develop as humans?" and then shows us the consequences of living in this way.